Last night we went to a gig in Islington; a part of London I don’t know very well. 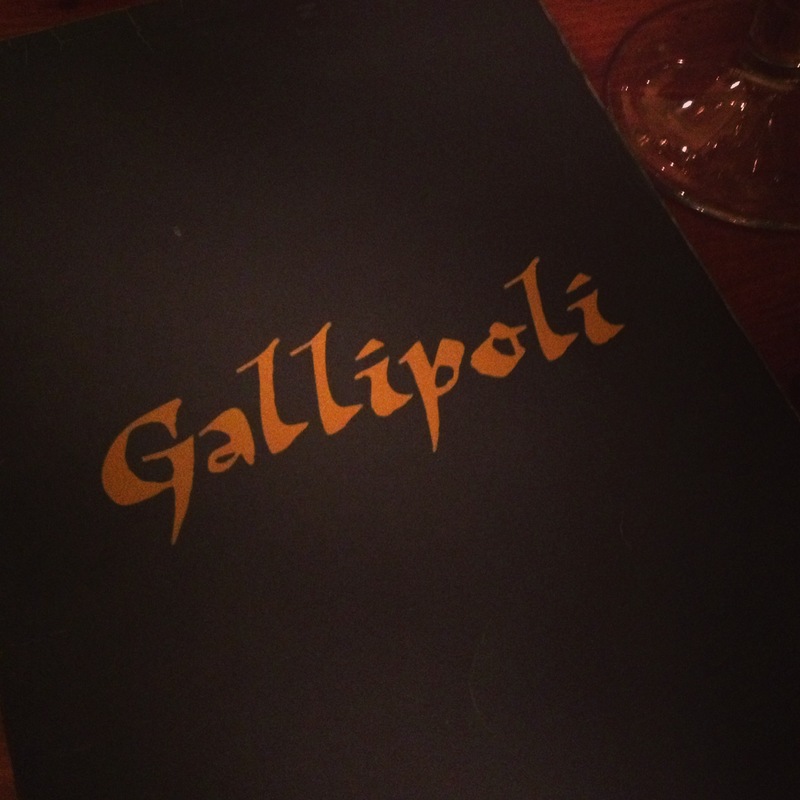 Luckily, a few days ago, I saw my lovely friend Rachel, who urged us to try Gallipoli, down the far end of Upper Street. It was pretty early, so the place was empty. Usually I refuse to eat in places that aren’t at least half full (it’s usually a bad sign, right?) but steeled by Rach’s enthusiasm for the place, we went in. It immediately reminded me of being on holiday; the music, the slightly kitsch decor, the attentive staff. On Rachel’s (excellent) advice, we ordered the Meze for 2 – a selection of dishes (none of which I can really remember the name of; helpful I know) which cost a mere £11.50 each. In what seemed like no time at all, dish after dish was delivered to our table. It was lucky we were sat at a 4 seater – there was barely enough room for them all. The dishes included various salads, hummus, tzatziki, kofta and falalfal, as well as lamb and chicken stew. Everything was delicious; all the dishes were freshly prepared and beautifully put together. We happily grazed our way through them, and there was more than enough food to fill us both up (even Alex!). 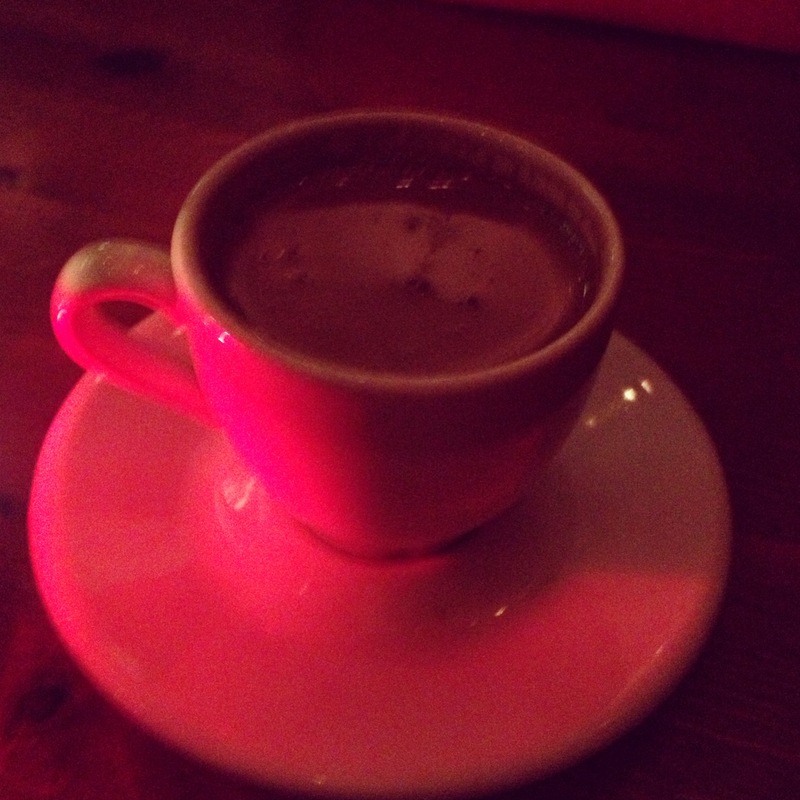 To finish, Alex opted for a Turkish coffee – I am reassured it was suitably strong and the perfect way to end the meal. The service was impeccable and the place quickly filled up (pretty impressive for a Tuesday night!). If you ever find yourself wondering down Islington High Street, I thoroughly recommend a little trip to Gallipoli. Thanks for the recommendation Rach!